Lesbian drama Our Love Story, a graduate project from the Korean Academy of Film Arts (KAFA), is a understated and compelling tale which is more concerned with the complications of burgeoning love than the societal pressures both its protagonists must contend with. Its subtle depiction of familiar situations within a relationship which may be unfamiliar to many viewers may well have been what earned it its Grand Prize in the Korean competition at the Jeonju International Film Festival this year. A modest art student quietly prepares for an art project at school and one day, while searching for materials for her installation, she crosses paths with a carefree bartender. Intrigued by her effortless cool she is drawn to the young woman and, despite resisting some the urges bubbling up within her, cautiously enters into a relationship with her. Debut director Lee Hyun-ju opts for an observational approach, which proves intimate without ever feeling intrusive, instead of politicizing her narrative or highlighting the rampant intolerance towards homosexuality that still dominates Korean society. 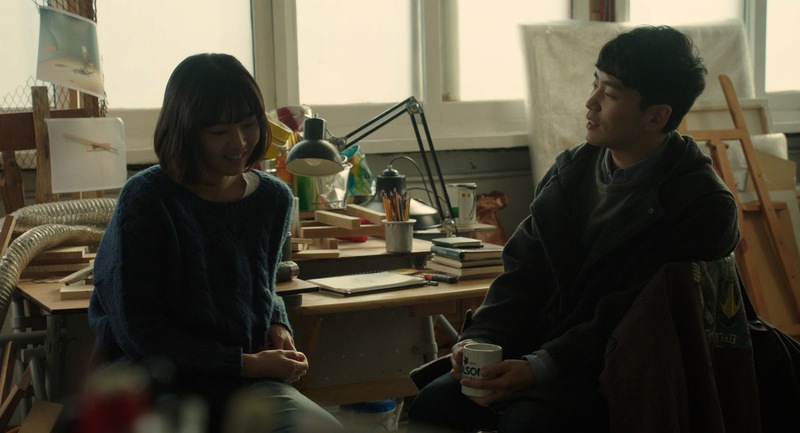 The main concerns of the narrative are the hesitancy and innocence that accompany first love, while at the same time Lee is careful to avoid the melodramatic sentimentality that typically mark this kind of narrative in other Korean films. Chief to the film's success are the terrific performances of its leads Lee Sang-hee, playing the student, and Ryu Sun-young, as the bartender. Unlike many actresses in similarly timid roles, Lee is able project both strength and vulnerability in her character, while also layering her with a soft but nonetheless charismatic edge. On the other end of the spectrum, Ryu manages to play a larger-than-life character without ever letting her performance overwhelm the balance between her and her co-star. The dynamic between the two stars is what drives the film and lifts above the many cautious romantic tales that litter Far East Asian cinema. Never exploitative and always authentic, Our Love Story is the most compelling example of queer cinema in Korea to arrive since the films of Leasing Hee-il (No Regret, White Night, Night Flight).